In this 11-page guide, you provide your client with the full run-down on why you need a session, when it’ll happen, where we’ll do it, what our studio policies are all about regarding weather and rescheduling, what you should wear, what to expect and how much fun you’re absolutely going to have. This PDF version is not customizable. If you’d like to purchase a customizable version, see the PSD file version in our shop. 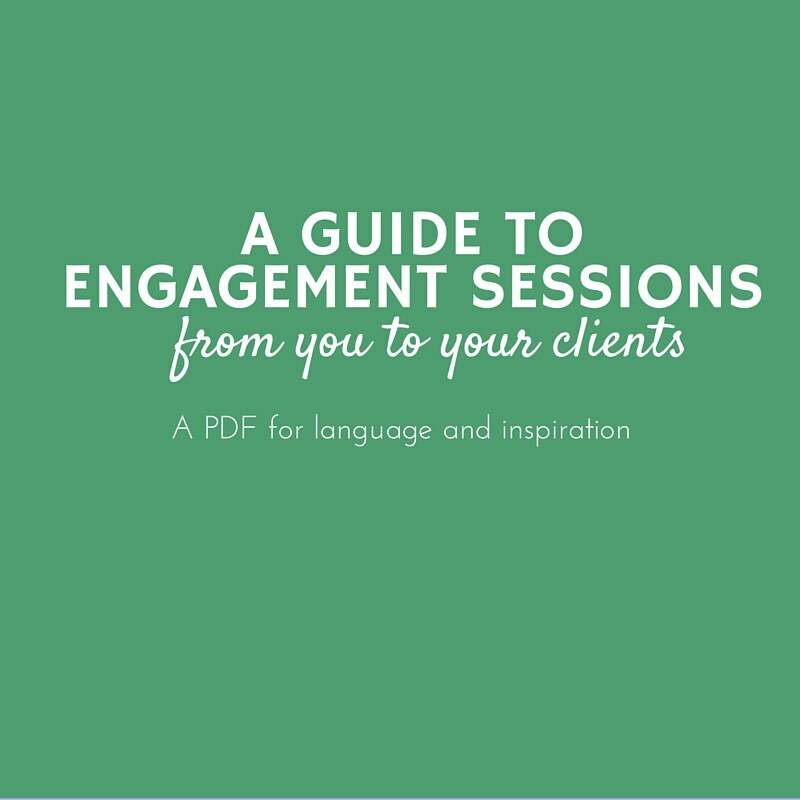 This version of A Guide to Engagement Sessions is delivered as a PDF with my studio branding and cannot be customized. Please choose the PSD version if you would like to customize your guide using Photoshop. Due to the digital nature of the product, no refunds can be issued.